This is a sponsored post written by me on behalf of DAP Products Inc.. All opinions of this awesome product are 100% mine. Hi Friends! 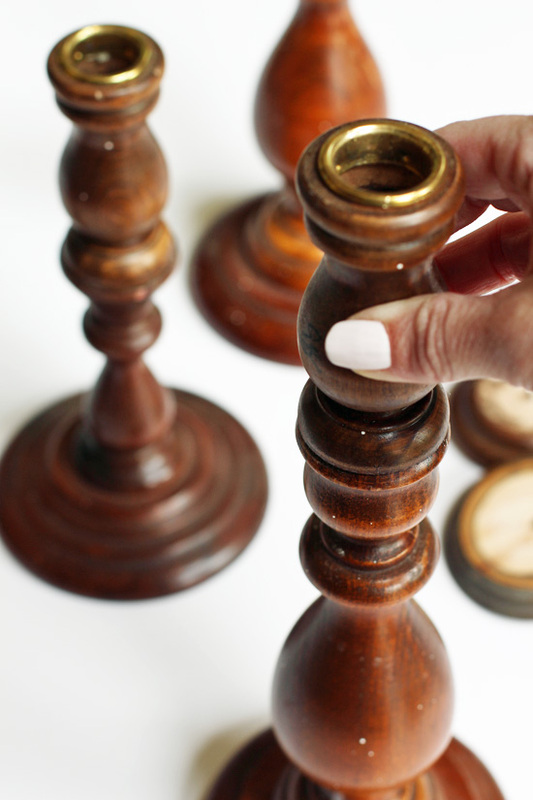 I’ve got a super simple thrifty DIY project for ya’ll today. I was actually looking to test out a new glue. 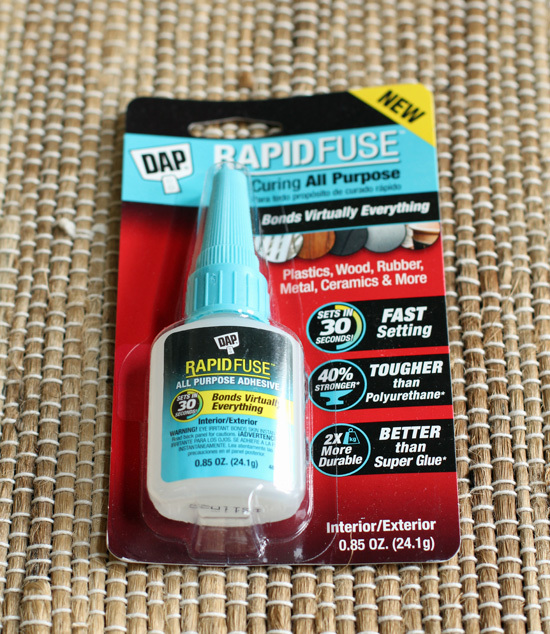 Although I have a personal favorite, it seems to take forever to dry, so I was excited to give DAP® RapidFuse™ All Purpose Adhesive a try. It sets in just 30 seconds and cures in 30 minutes…that’s more my kind of speed. DAP products have been a trusted leader in the caulks, sealants, and adhesives categories for over 150 years and is based in the USA, so it’s a brand I trust too. 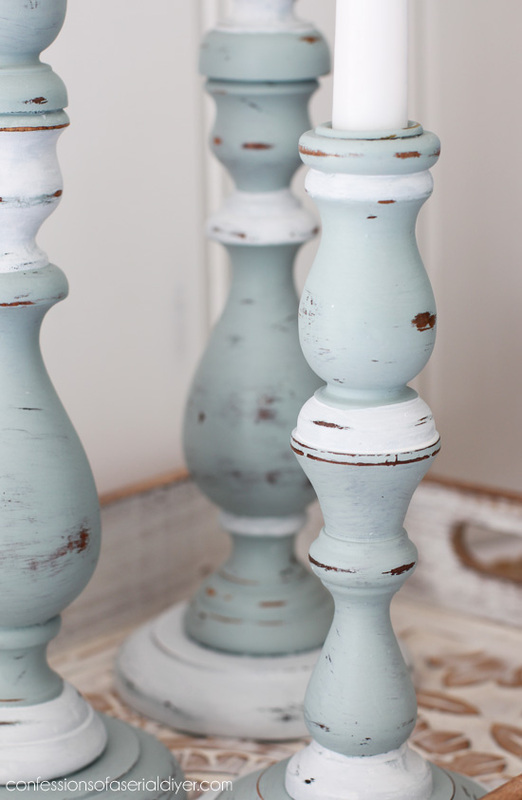 I gave them a coat of Behr’s Gray Morning (mixed with about 30% pure white) that I made into DIY chalk paint. Then I added a few stripes of pure white using a small brush. 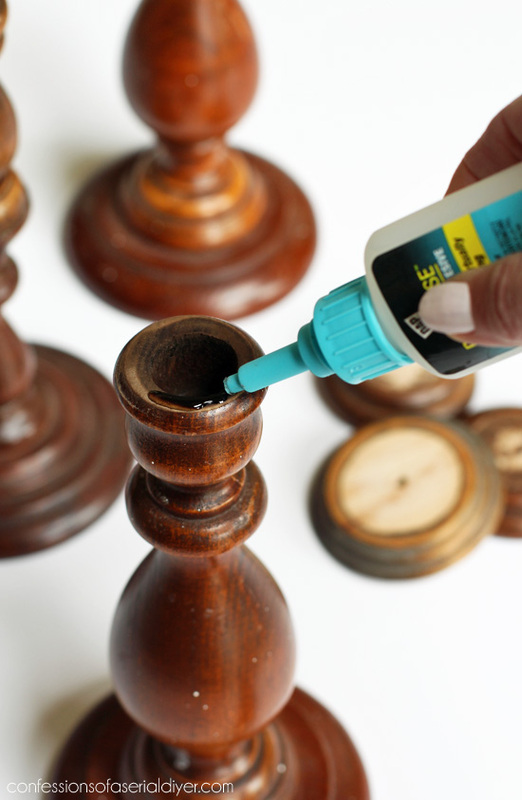 I little sanding and a coat of Annie Sloan’s clear wax finishes them off perfectly. 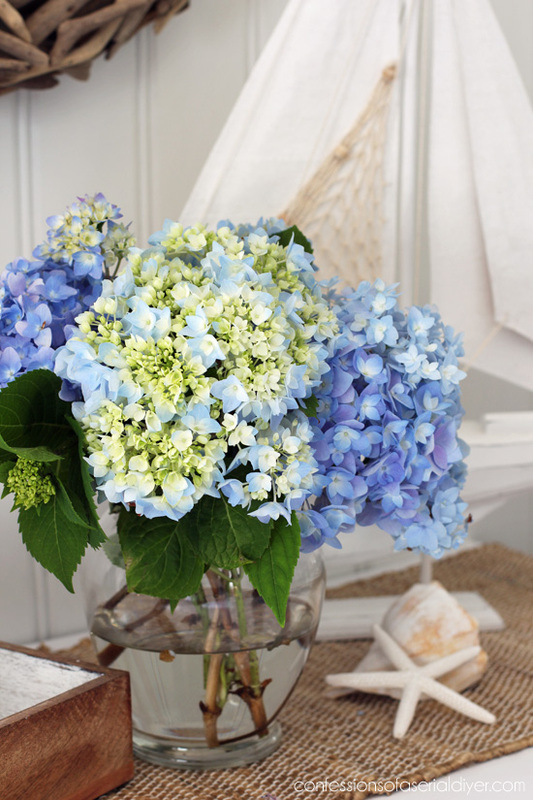 I’m so excited my hydrangeas are starting to bloom…I finally had enough to cut to fill a vase. 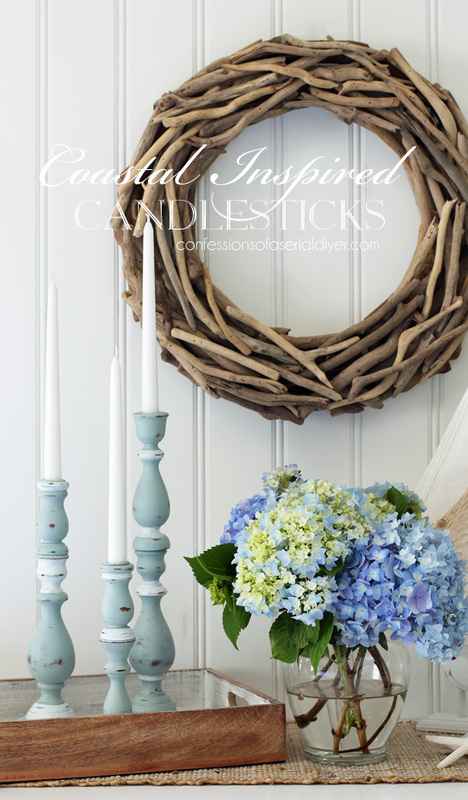 They look great next to my new coastal candlesticks that cost me less than $7, don’t you think? These things are bonded like crazy, and set up almost immediately. That is the biggest selling point for me, and DAP® Rapid Fuse All Purpose Adhesive is two times more durable than super glues and bonds virtually everything to anything. It can be used on plastic, rubber, metal, glass, wood, tile, stone, concrete, fabric, and more! I will definitely be keeping this awesome adhesive in my DIY arsenal from now on. 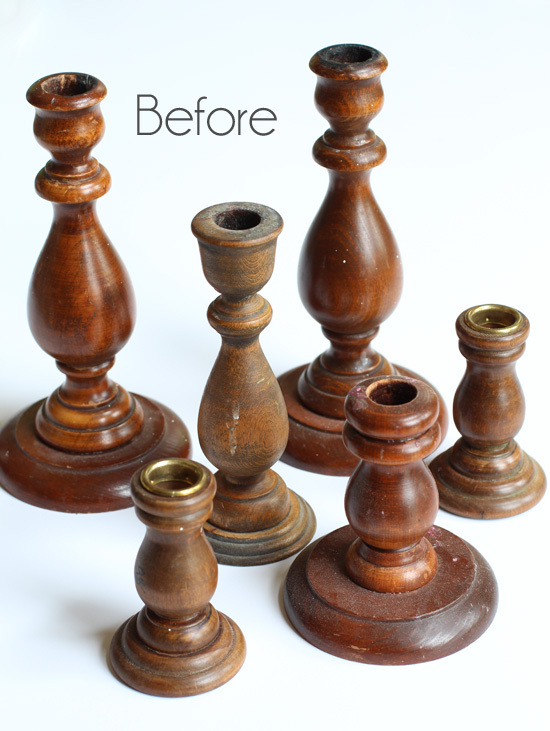 You would never know these started out as six smaller candlesticks! 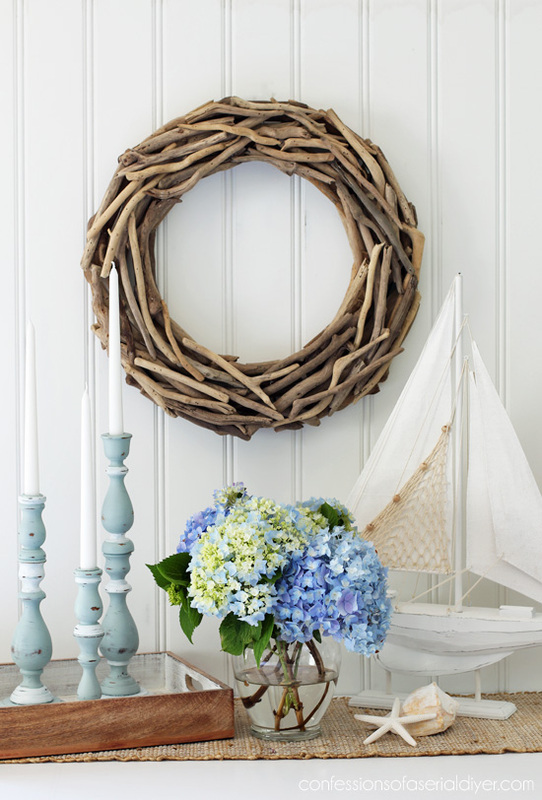 Visit DAP Facebook for more ideas and inspiration. 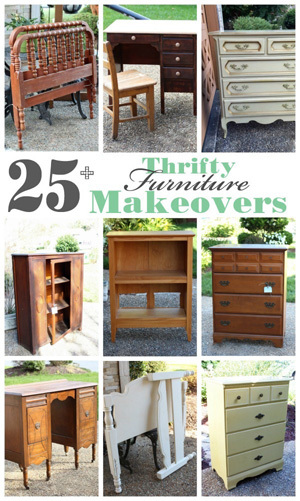 I hope you enjoyed this thrifty little project today! 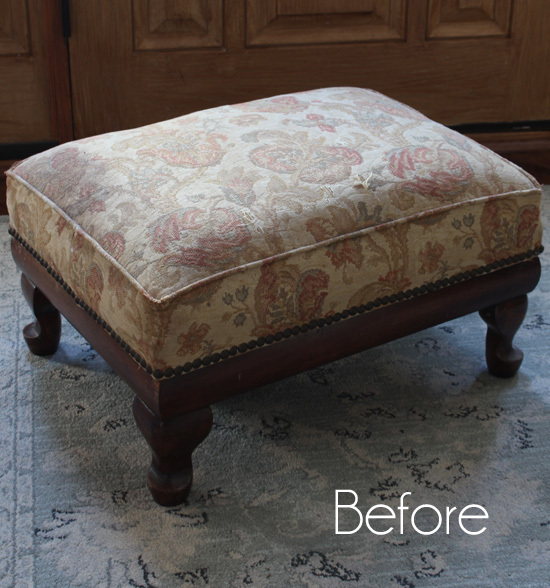 UPDATE: See how I gave this little stool a new look HERE now. Love them, how cute! I always look forward to your post, you are so creative. Looking forward to Thursday! They look so fresh and pretty Christy. And you are very clever to put them together and make a bigger one. Your candlesticks are adorable, and I’m happy you found some amazing new glue, but I’m swooning over the hydrangea. I finally got one stuck in the ground, but eventually I want about a dozen. They’re my favorite!! 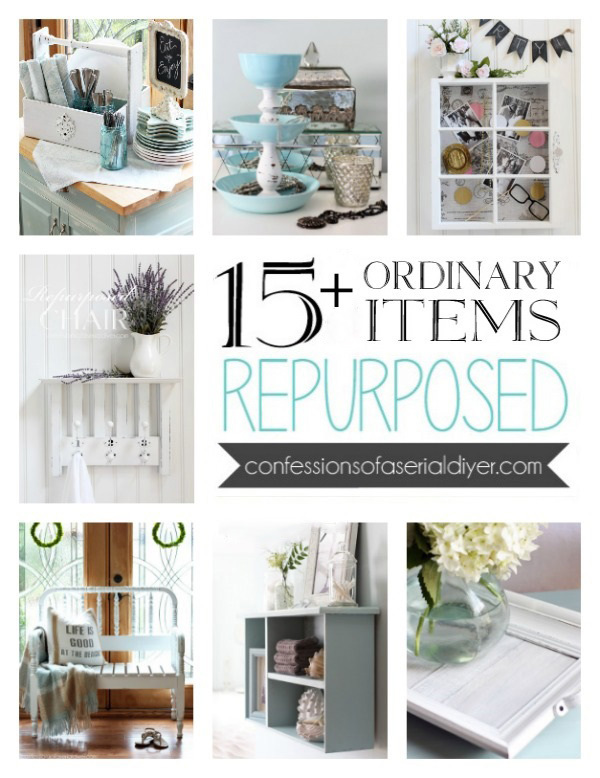 As always….Thank you for helping us to think outside the box when we look for these thrifty treasures. 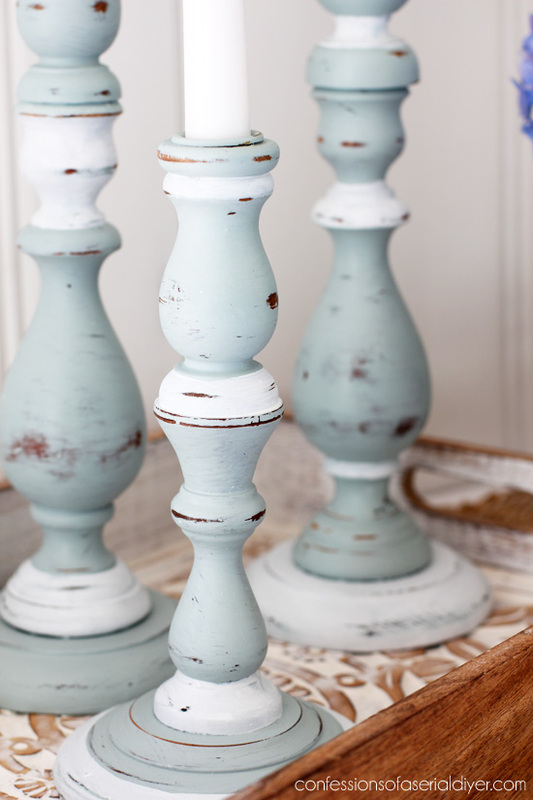 Love the colors on these candlesticks. Excited to see your next project and I will be looking for this Dap product also. 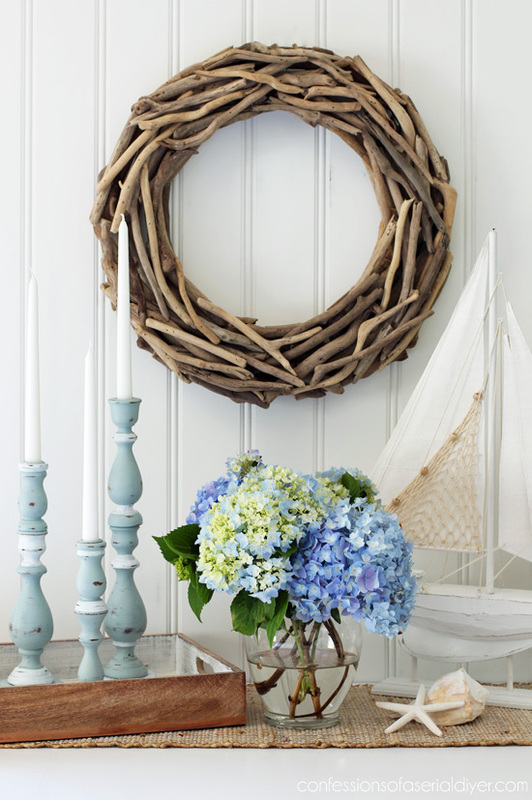 Of course I love them and the coastal colors work perfectly for me.. I just used the DAP Rapid Fuse last weekend for the first time and I am in love. 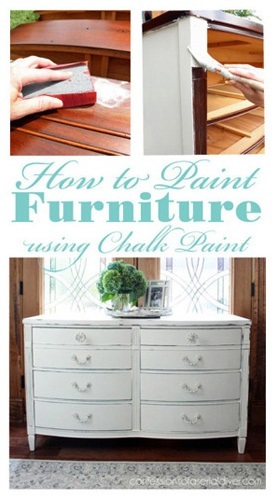 I used it on wood and metal to metal and it is terrific. You’re so creative! They turned out beautiful. 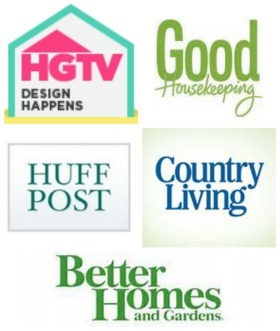 I just love your blog, and am always looking forward to the next project. Can’t wait for Thursday!! Great make over. I love candles and those are so trendy right now. Love it!! Awesome makeover, Christy. 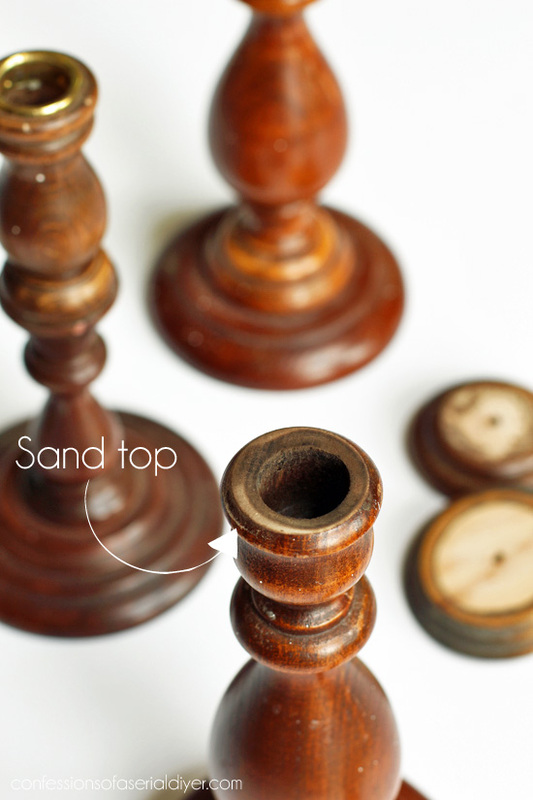 I definitely wouldn’t know that they originally were two candlesticks glued together. I’m going to look for Dap the next time I’m out shopping. So glad to learn about a new adhesive. I’ve not been crazy about some I have used and found to be lacking. Dap RapidFuse is going on my shopping list! 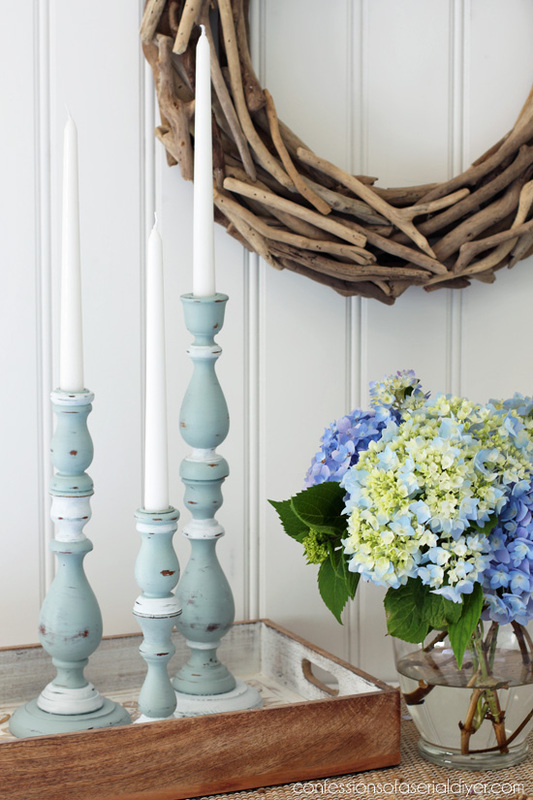 Your candlesticks are wonderfully beachy–love them! I always look forward to reading about your latest project–they’re ever so creative! What a great idea! I find the short ones all the time but never thought of putting them together. And I am really excited about this new glue! I use Gorilla all the time but the foaming can be an issue. WOW!!! What an awesome transformation! I LOVE it. I was wondering how you were going to make it look pretty when I saw the before. 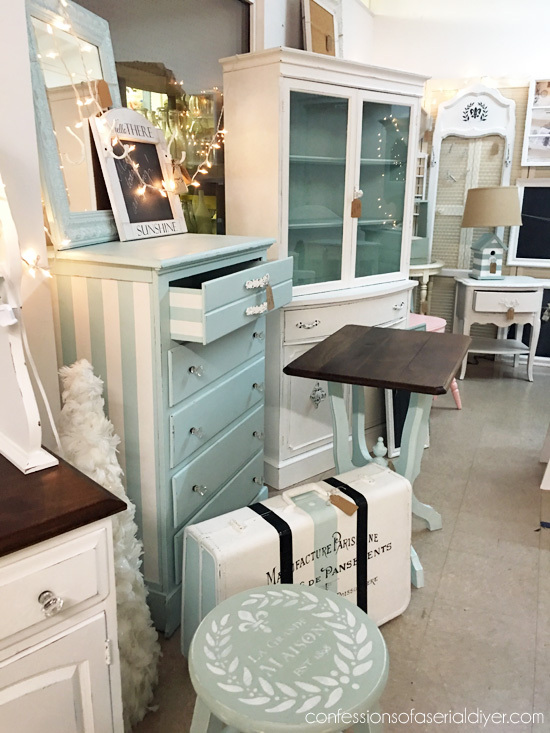 LOVE your color choice Christy! Oh Christy if you only knew how much I am kicking myself right now. I had so many of these over the years that I would just throw away, Now it’s off to the Thrift stores because I love these so much. They are so fresh and pretty, even brand new they didn’t look that good. 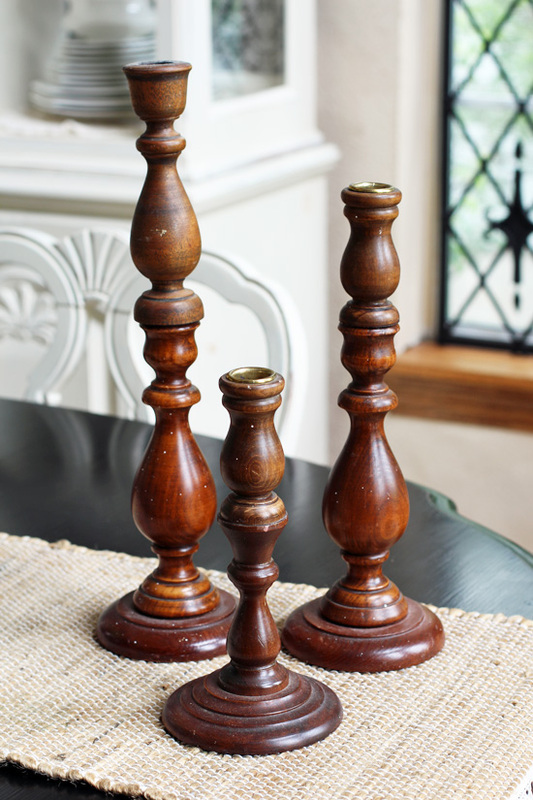 What a clever way to DIY larger candlesticks, Christy! 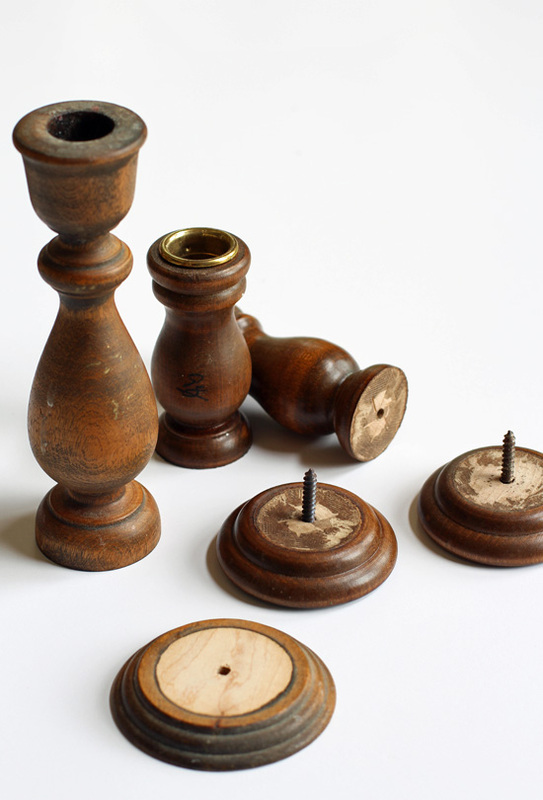 I have some of these wooden candlesticks that I had put in my “donate ” box; however, after seeing your clever idea, they are, needless to say, no longer in the “donate” category. Can you share where you got the glue? My go-to glue has always been E-6000 as it too holds everything securely, even arrangements for the graveyard. Neither rain, snow, sun, wind or other elements disturb what has been E-6000’d but I am anxious to try your glue too. Thanks.